Michele Buckley graduated from NH Institute for Therapeutic Arts in June 2009, where she completed a 775 hour massage therapy program. In addition, Michele is a Certified Strength and Conditioning Specialist (CSCS) through the NSCA and a Certified Kettlebell Trainer (CKT) through the International Kettlebell and Fitness Federation. 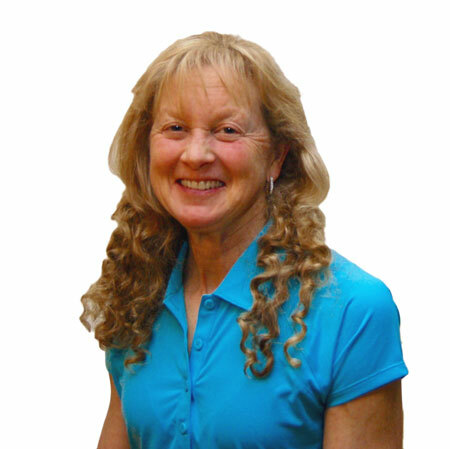 Michele is certified to provide the Functional Movement Systems movement screen and is CPR/AED Certified. Michele has taken continuing education classes in thai yoga massage, positional release techniques, stress management, body composition, and nutrition. Michele spent over 20 years as an elite level endurance athlete. She has been a fitness instructor since 1984. Michele holds two Bachelor of Science degrees from Worcester Polytechnic Institute. Michele has a special interest in healthy aging and hopes to share her passion for fitness and wellness with all of her clients. In her spare time, Michele is active with hiking, cycling, yoga, and nordic skiing. Michele lives in Hollis with her husband Kevin and their two Golden Retrievers, Jake and Riley.